On November 22nd, X JAPAN's vocalist�ToshI held a press conference to announce a special dinner show event, featuring the new project unit, "ToshI Feat.YOSHIKI". The shows, titled "ToshI Feat. YOSHIKI with Sekai no Mikuni special concert & dinner", are to run for�January 24th and 25th in 2011. The dinner show is appearing to be quite the high-end affair. The most expensive ticket for the show will be sold for ?100,000 (approximately $1,199), marking "ToshI Feat. YOSHIKI"s event as the most expensive dinner show in Japanese history. One of the reasons for this high price is that the dinner will be prepared by Mikuni Kiyomi, one of the most famous chefs in the world for French cuisine. The show will be also be supplemented a 30-member orchestra. �Moreover, there will be a piano duet between ToshI and YOSHIKI (a first for the bandmates), and other X JAPAN members will be making their appearances as special guests. 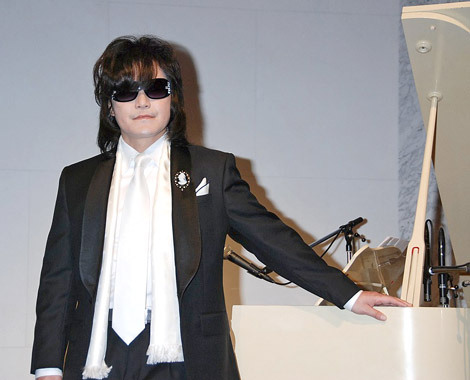 ToshI also announced that "ToshI Feat.YOSHIKI" will release two new songs, "Crystal piano no Kimi" and "Aisuru Hito yo"�in January; they will naturally be performed during the dinner show. Dream announces tracklists for new album, "Hands Up!"